Vincent van Gogh is dead. His brother, Theo, who was too overcome with grief to speak at the memorial, has invited artists, friends and anyone who would listen to him to an evening of shared memories of his beloved brother. It is his hope that he will finally be able to express himself that night and do justice to Vincent's legacy and reputation. 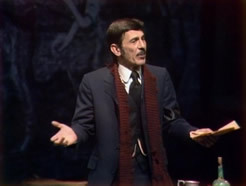 For Leonard Nimoy the taping of the play at the Guthrie Theater signified the culmination of three years of touring with the show. 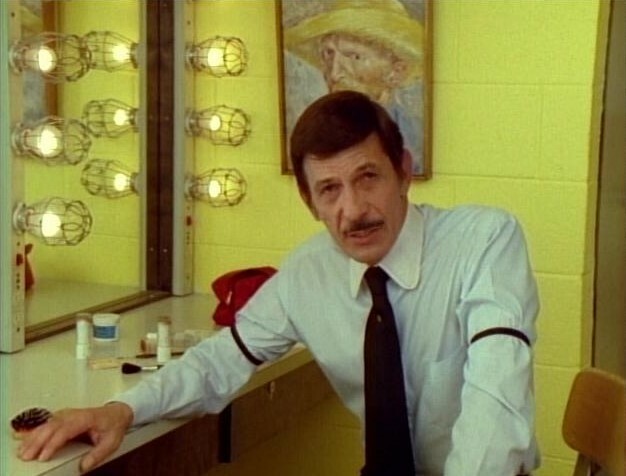 Before we see him on stage, we get some impressions of the theater and the audience arriving and an introduction to the play by Mr. Nimoy filmed in his dressing room. Vincent opens with Leonard Nimoy introducing himself as Theo van Gogh to the audience. The opening, as it was taped, was the product ofongoing efforts "arrived at during the course of the development of the play over a long period of time," as he remembers in the commentary on the DVD. He goes on to say that he tried several different openings and the one we see was the one that seemed to work best, "to give the audience a sense of who I was, why we're here tonight and what I was going to talk about." He got the idea for the play while he was working the lecture circuit, talking about his career, Star Trek, acting, and other things, when he heard about an actor reading Vincent's letters to college students. He contacted him and found out there was an actual play called Van Gogh in which the main character was Theo talking about his brother Vincent. So, he bought the idea and went on to shape the material to his liking. He was intrigued by the potential the play provided for being credible as Theo while avoiding acting as though he was imitating Vincent. 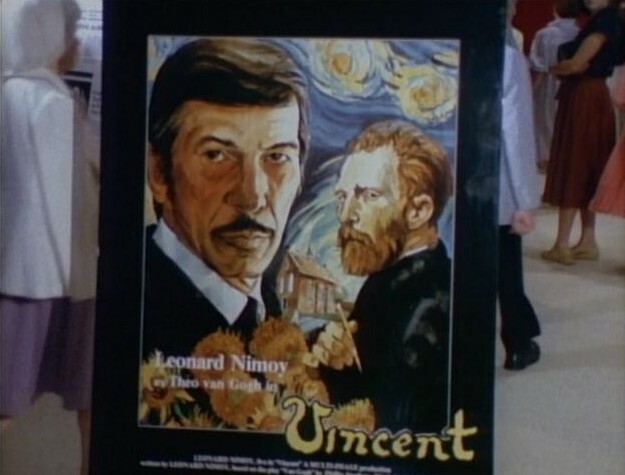 On the one hand, Leonard Nimoy observes, "the most commonly accepted impression of Vincent van Gogh physically, and visually, and dramatically was Kirk Douglas in the movie Lust for Live," while on the other hand nobody knew what Theo van Gogh looked like. 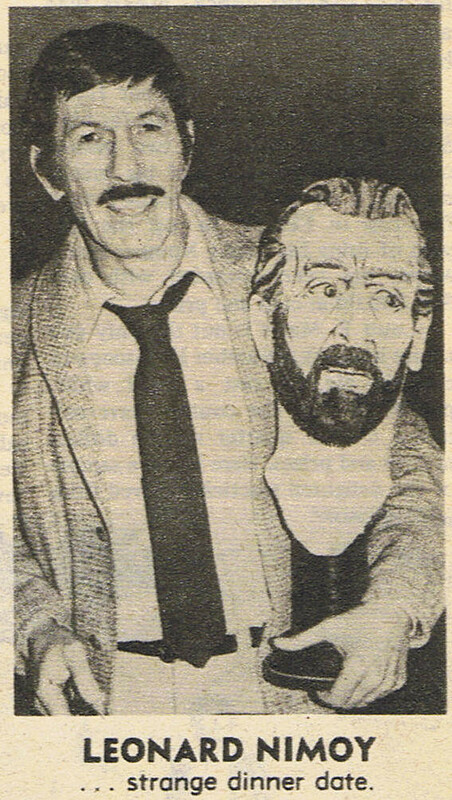 He wouldn't have touched the material, he says, if he had had to stand on stage and say "I'm Vincent". Instead, as Theo, the audience could take him at face value. It took him a while, though, to come up with the idea of Theo impersonating Vincent at times. 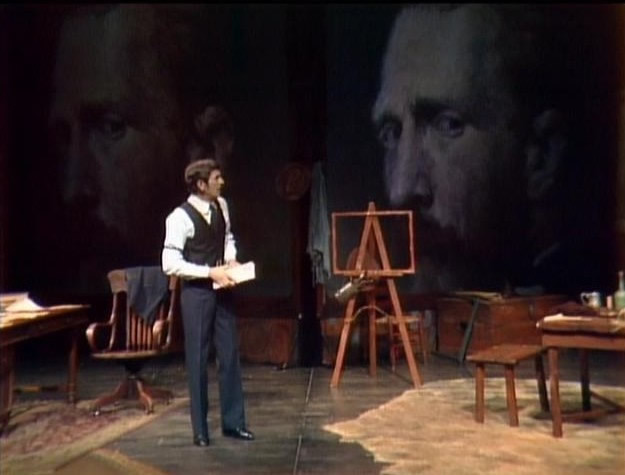 This provided him with a means to portray what Vincent sounded and moved like by giving Theo's impression of him. 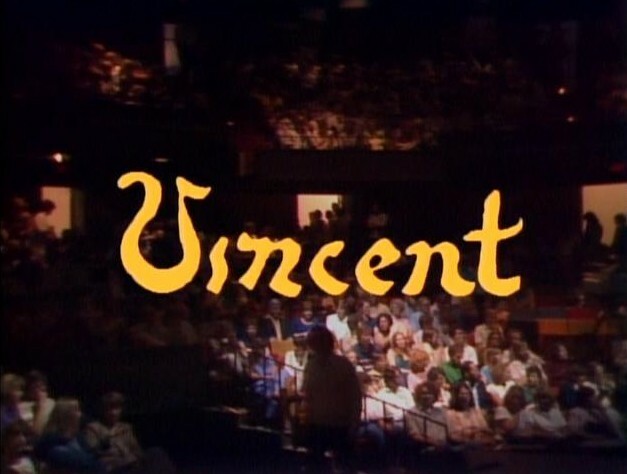 Vincent premiered in Sacramento, C.A. under less than perfect circumstances. The production didn't get the use of the auditorium until late in the afternoon of the day of the performance. They had no time to do the lightning and sound properly and the place gave them a difficult time technically. 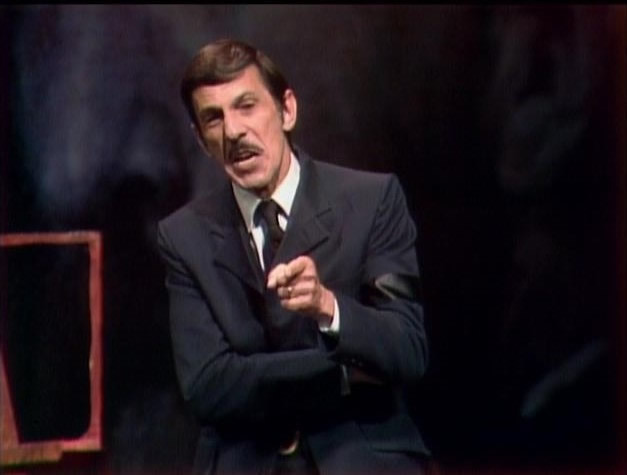 "But the audience response was extraordinary and the newspapers the next day called it a triumph," Leonard Nimoy remembers. That night the special events manager from the Guthrie Theater was present and he booked Vincent for one night a few months later. 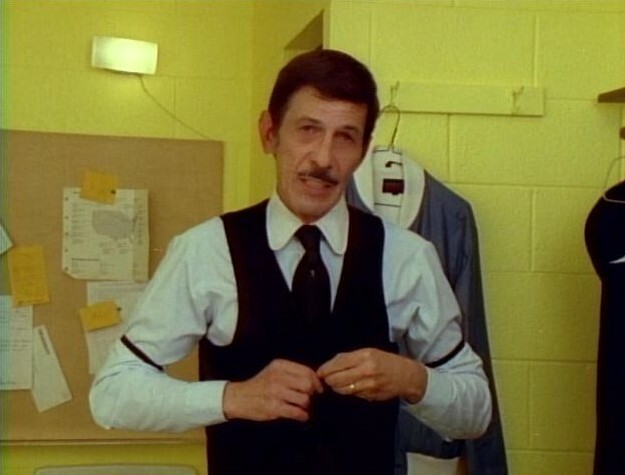 Some weeks before Mr. Nimoy was due to appear on stage he got a call from said manager telling him they were sold out and would he consider adding a second performance in the afternoon, which he did. From that sprang a partnership with the Guthrie which designed and built the sets for him, while he provided the slides of Vincent's paintings. 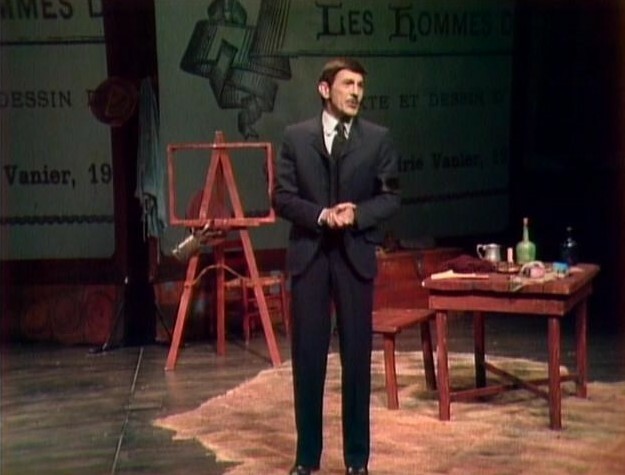 One thing that had Leonard Nimoy really shocked in preparation for the play had been the poor quality of the reproductions of Vincent van Gogh's paintings available in museum shops, libraries and school libraries. As he found out, an institution would simply hire a local photographer to take a picture and that neither photographer nor photo had necessarily to be very good. This prompted him to make copies of his own slides of the paintings and to donate them to museums and schools around the country, because he found them to be more faithful to the colors of the original in many cases. Also, if one bought any number of art books, the colors in each book would be different. Which is why he says he took great pride in tying to capture what he thought was the closest possible to van Gogh's original colors. Leonard Nimoy laughs when he thinks back to how it all started. At first he thought he'd be "traveling with a briefcase and a few letters and maybe a couple of handprops and I just pull out these letters and give this performance." Until it one day dawned on him that he couldn't do the life of Vincent van Gogh without showing Vincent's work. That was when he was drawn into doing lots of research on the subject from getting first rate slides to first rate projection equipment. Suddenly the play had gone from traveling with a briefcase to traveling with eighteen crates full of sets and equipment and three to four in crew to operate sound, light and projections. "But it had to be done right or not at all," he concludes. 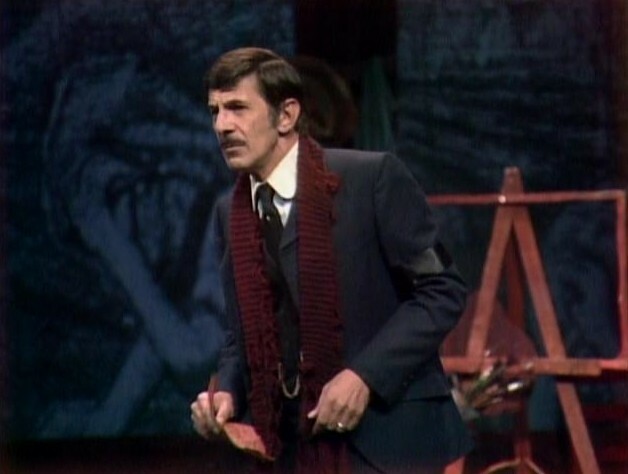 Over the course of three years Leonard Nimoy did 150 performances of Vincent in total. They would go on a tour for anything from two to five weeks at a time and whenever he received an invitation, he tried to go. Between performances the crates were stored in a warehouse but it was as if he was getting calls from Theo and Vincent from within the crates to get them out of there, he recalls. "It didn't want to lie dormant, hidden away in boxes. And I always felt this urge to go back out and do it again somewhere." By the time the play was taped, though, exciting as it was for him, he felt that the show had a life and a future of its own. People were given a chance to see what it was all about without him necessarily going out and doing it personally. He misses the show, "Doing it was a great joy," he says, "but at least I know it's alive in this form." WITH THEIR DAZZLING stars and radiant sunflowers, Vincent van Gogh's paintings can lighten up the most depressing of rooms. But, sadly, the artist's life itself was marked by darkness. "Vincent" — playing through March 28 at the D.C. Arts Center — implores audiences to ponder this contrast as it questions the meaning behind van Gogh's work, the relationship between insanity and creative genius, and the demands that society makes on an artist. 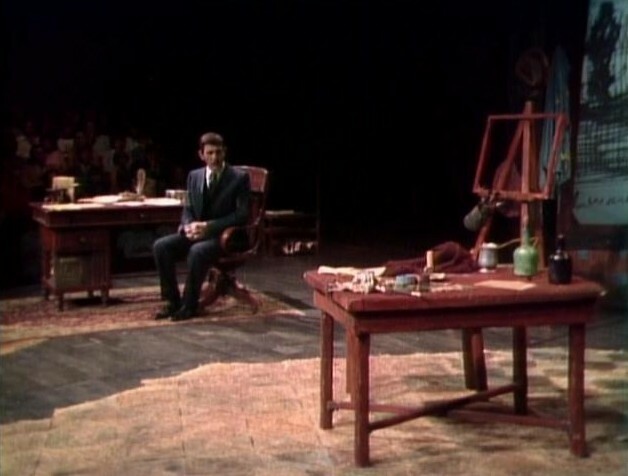 The moving and meditative play was written by "Star Trek" alum Leonard Nimoy (a man who's dealt with his own artistic identity issues) and is based on both an earlier Phillip Stevens show ("Van Gogh") and hundreds of letters exchanged between the illustrious painter and his brother, Theo. The story opens one week after Vincent's funeral, and Theo (B. Stanley) is finally ready to say a few words about his brother. As he recounts the ups and many downs of Vincent's life (failed love affairs, self-mutilation, mental illness, etc. ), he forces the audience to see the artist not through the eyes of critics who dismissed him as insane, but through those of a family member who loved, supported and fiercely defended his blood. My interest in art and photography has stayed a passing one at most - my real passion being moving pictures and Television in particular. 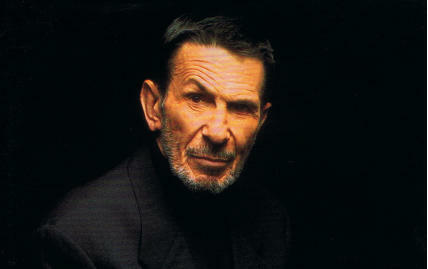 Without Leonard Nimoy's play Vincent I wouldn't know what I know about Vincent van Gogh either. 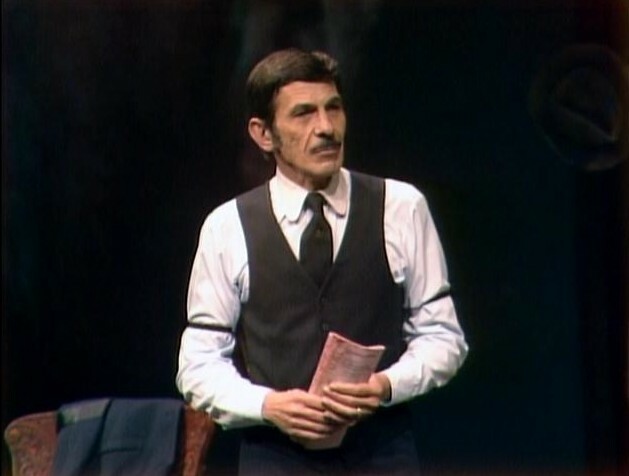 For, let's be frank, without Leonard Nimoy doing the play, I, or you, dear reader, might never have heard of it or even remotely considered watching it. 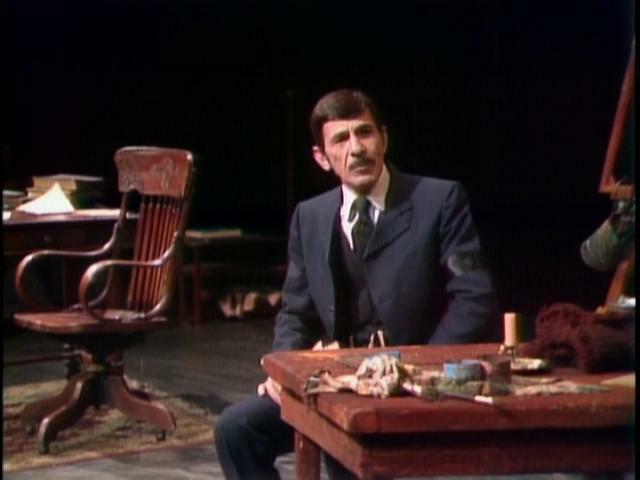 But once you start watching it, this play really pulls you in and even if you came on board just for Leonard Nimoy, you'll stay for the excellent performance given by the lone actor bringing alive both Theo and Vincent on the stage. The play alone was already worth its money, because, living where I do and being born too late, I never had the pleasure of catching him live on stage. It came as a very pleasant surprise then, when I found out Mr. Nimoy had done a commentary in which he shares many interesting and enlightening insights about how he went about creating Vincent and what obstacles he had to overcome.